Making #Wines to Drink Now, or Cellar? What a crazy week to have scheduled a wine tasting adventure in Washington State! Forest fires everywhere! 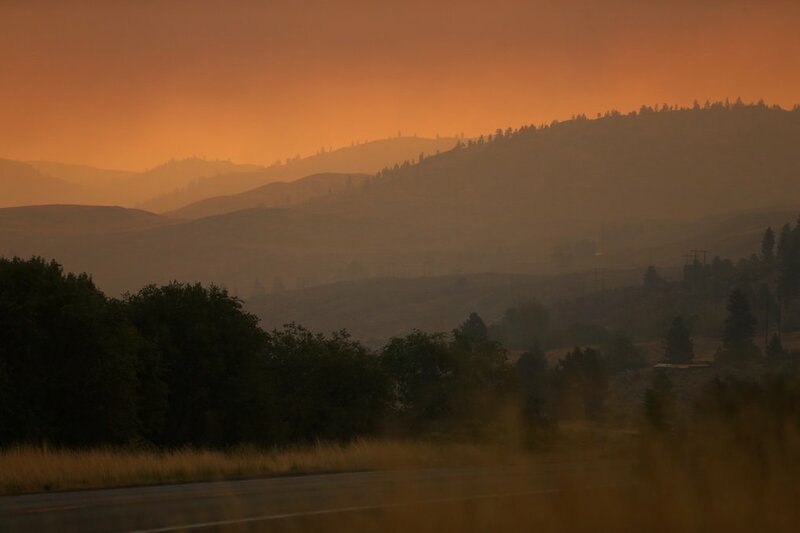 The entire state is one big campfire… Flying into Spokane, we descended through a wall of billowing smoke. Driving down to Walla Walla the smoke cleared somewhat. Should winemakers be producing wine to drink now, versus wines to bottle age? Does making wine specifically to be drunk with food play well in the broader U.S. market? I will tackle the first question now and the second in a follow-up piece. I was floored today. These were two respected Walla Walla producers recognized by critics and neither was focusing on structured wines more capable of aging in your cellar. After one tasting experience, I am quite sure I could recognize any of their wines blind. This is not meant to suggest I did not enjoy a few of these wines, but more to emphasize their singular dimension. All of the wines are quite clearly made in a single style, utilizing similar techniques: noticeable French oak, high to very high acidity, very light and a minimum of mouth-feel, minimal finish, low to medium tannins and fruit forward. We tasted two vintages of their flagship wine, a Bordeaux blend called “Stellar”. The 2008 was good, showing high acidity, medium tannins and a palate of plum, blackberry, apple pie spice, graphite and touch of earthy minerality… but the 2009 was so much better, similar to the 2008 – but adding higher tannins and a fuller mouth-feel. The owner David Huse actually apologized for the additional structure. After a few minutes of conversation, it was obvious he believed their goal was to make easy drinking wines and that 2009 just didn’t fit into that focus. I get it. Wineries have to sell their wine and in case you haven’t seen the numbers, somewhere between (depending on the study) 80 to 95% of all wines purchased in the U.S. are drunk within a week of purchase. Since we are throwing out statistics, how about this: 90% of all bottles purchased in the U.S. cost less than $12 USD. The wines we were tasting today all retailed for $40-$70/btl. Where am I going with this? Are these wineries correct in thinking that the majority of wine drinkers spending over $12/btl. want drink now, easy drinking wines? I have spent the last 20 years listening to feedback from wine enthusiasts and while very few are looking for the other end of the spectrum – rustic, cheap Chianti style wines, MOST do prefer red wines with good structure. How else could Napa Valley be able to sell so much Cabernet Sauvignon at an average price of $64.77/btl (2014 Wines & Vines) direct-to-consumer? It is certainly not because these wines are easy drinkers! So how does the winemaker feel about this issue? I ask this question during interviews all the time. The answer too often is: “business sometimes dictates we make a wine for broad appeal”. 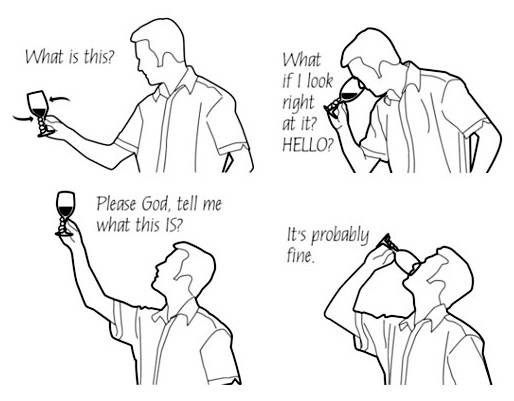 At some wineries, this discussion is a non-issue. The winemaker makes a wine profile focused on quality in the classic sense and they find their market. Others I have interviewed, spend time with their customers and really understand the product their clientele wants… and then there are those that “think” they know what the average consumer wants. 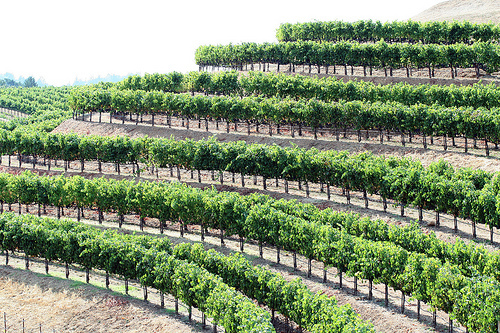 The perceived pressure to produce easy drinking wines in the U.S. is huge. 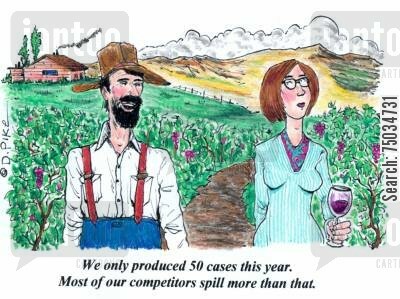 For large volume wineries over 50,000 cases of production this discussion is irrelevant, but for the 60% of wineries in the U.S. that produce less than 5,000 cases, it is THE discussion to have. There is a place for all styles of wine in the market. My surprise came from visiting recognized, critically acclaimed wineries with this kind of thinking. If there is one thing I can definitively take exception to in the industry, it is this idea that wine enthusiasts (spending more than $12/btl) want flavor in red wines and don’t care about structure. Okay, I agree there are not many folks like me in the U.S. who will maintain a large enough cellar to buy young structured red wines and regularly drink 5-10 year old vintages. 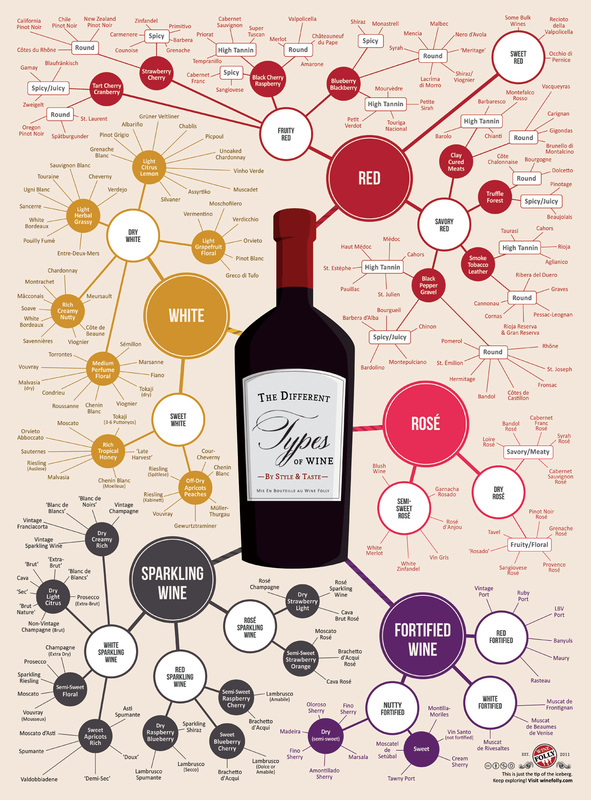 At the risk of boring readers by saying this again: STRUCTURE is what differentiates good wine! Red wine can taste like black, red, or blue fruit, have earthy minerality, or even exotic flavors like tobacco and tar, but these matter little without the primary structural components: Acidity, Alcohol, Tannins, Phenolic Development, Mouth-Feel (texture) and Balance. When wines are missing any of these elements, they can be unpleasant to drink, or more commonly – just boring. The nose hints at the level of extraction with blackberry, plum and currant fruits, a touch of alcohol, fresh tobacco and earth. The palate follows with a dense fruit-forward attack that is very lively in the mouth, with high acidity and high tannins. The vanilla comes through from the oak, but doesn’t overpower. The tannins have a plush, granular texture producing a big mouth-filling wine with a very long finish. This wine is fast approaching its optimal drinking window of 2016-2018. It is only missing a defined mid-palate… a 91 score without. This would have earned a 94-95 score with more complexity. 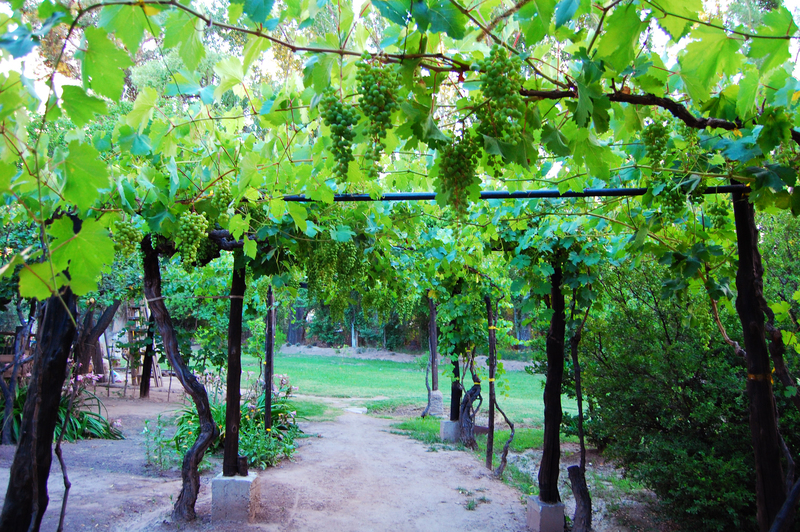 Italian producers have been converting old pergola style trellising (photos above) to head-trained systems (i.e guyot). This has been a major factor in the on-going improvement in consistent quality across Italian vintages. Head-trained vines make it much easier to employ pruning strategies throughout the growing season. A major factor in accommodating annual climate variation. Vineyard managers typically have experience with enough harvest variation to get a feel for the tonnage of quality fruit their vineyards can produce. Too big a yield, and the vines don’t seem to focus on producing concentrated flavors and complexity. Too small a yield and the vineyard is not financially viable to farm. In some locations, the government dictates the yield, if the winery wants to put the appellation name on the label. Yield is a reasonable indicator of basic quality. 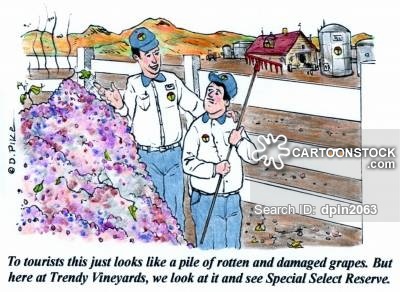 Anything over 4 tons per acre will be approaching bulk wine territory. Most premium wineries drop anywhere from a quarter to half the berries in the field every year. Fertilization and soil prep is a scary idea in a vineyard. Grape vines are highly efficient at growing successfully in very poor conditions, so any small change tends to have a big impact. The idea here is NOT for the vines to grow more vigorously. The optimum conditions desired for increasing harvest yield is the exact opposite of what is desired. Although, soil prep before planting vines is very common and usually deals with soil pH and plant metabolism. For example, in many wine growing areas in Arizona, it is critical that calcium carbonate and/or magnesium carbonate be mixed into the soil. So called “liming” of the soil is a vineyard tradition that has been practiced for hundreds of years. Higher pH soils tend to add acidity to the fruit, a critical component in quality wines. 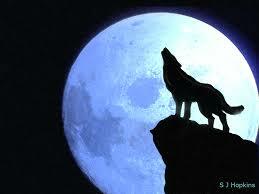 This approach is more recent. Canopy management as a criteria for producing quality fruit is a strategy that requires a significant amount of pruning labor (high cost) and therefore is mostly employed in the premium and ultra-premium wine categories. A few years ago, I interviewed Jim Duane, winemaker and vineyard manager at Seavey Vineyards in Napa Valley. With a BS in Biology and a focus on botany, he spoke passionately about meticulously pruning the vines and modifying the canopy to match each vintage’s growing conditions. The row direction decision is now made based on optimizing drainage and improving direct sun availability. 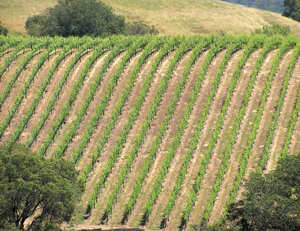 Vineyards planted on relatively flat acreage in the last 20 years are almost always planted with North-South facing rows to maximize consistent sun exposure. 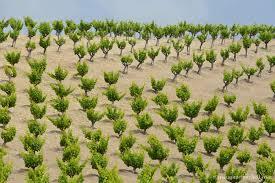 The vineyard in the photo above is planted down the rise and is unusual in recent times. Rows today are usually planted across the rise to facilitate optimal drainage. These ideas have become common practice in the U.S., although not as pervasive in Europe. Single pass harvesting is the standard in the industry, but in the premium and ultra-premium category that is changing. Paloma Vineyard is an estate winery in Napa Valley that takes this idea to the extreme. Harvesting over extended periods of time, tracking rows and blocks for ripeness, or desired character. They have planted different clones of Merlot and vary the harvest timing as necessary for each. In addition, they bring in blocks early to improve structure and others later to enhance flavors. This is very labor intensive and must be a challenge to manage every year… but the results are hard to argue with… Paloma achieved a Wine Spectator #1 wine in the world rating in 2003 and regularly earns 95-100 scores every vintage. By the way, if you are lucky enough to catch a visit with the owner Barbara, you will get an in-depth peak into the life of a winemaker as farmer and the lifestyle that comes along with it! 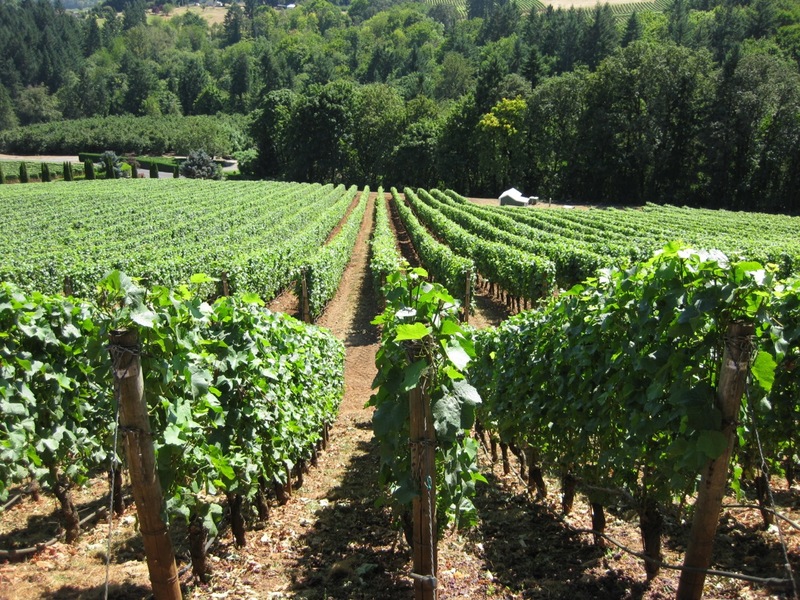 This is a terra-formed terraced vineyard with a double row planting across the rise and a tight vine spacing layout. The vines in the front of the row produce riper fruit. Those in the back struggle and the fruit is more austere and structured. Everything in a Bordeaux varietal vineyard you could ever want, all in one place. This vineyard produces amazing wine. I doubt many vineyard owners would go to the expense of preparing a vineyard site this way. This is another one that will get me in trouble… This is one idea where I agree with the Old World thinking. In my experience, having tasted thousands of wines… There is a noticeable difference in wines from dry-farmed fruit versus irrigated. Why is there a difference? Is there verifiable science behind it? Not likely, but if I were to guess… dry-farmed vines struggle more, the roots drive deeper into the earth and build additional complexity in the wine?